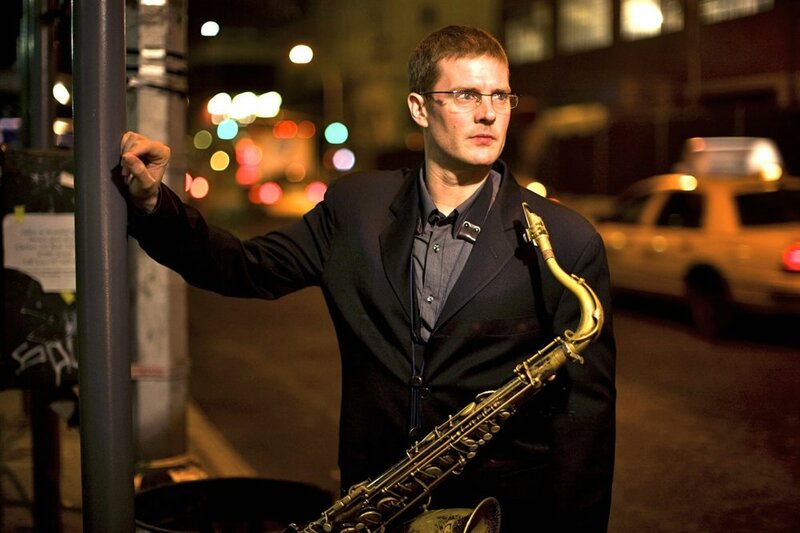 Boasting a warm, finely burnished tone and a robust melodic and harmonic imagination, tenor saxophonist Eric Alexander has been exploring new musical worlds from the outset. He started out on piano as a six-year-old, took up clarinet at nine, switched to alto sax when he was 12, and converted to tenor when jazz became his obsession during his one year at the University of Indiana, Bloomington (1986-87). At William Paterson College in New Jersey he advanced his studies under the tutelage of Harold Mabern, Joe Lovano, Rufus Reid, and others. "The people I listened to in college are still the cats that are influencing me today," says Alexander. "Monk, Dizzy, Sonny Stitt, Clifford Brown, Sonny Rollins, Jackie McLean, Joe Henderson--the legacy left by Bird and all the bebop pioneers, that language and that feel, that's the bread and butter of everything I do. George Coleman remains a big influence because of his very hip harmonic approach, and I'm still listening all the time to Coltrane because I feel that even in the wildest moments of his mid- to late-Sixties solos I can find these little kernels of melodic information and find ways to employ them in my own playing." During the 1990s, after placing second behind Joshua Redman in the 1991 Thelonious Monk International Saxophone Competition, Alexander threw himself into the whirlwind life of a professional jazz musician. He played with organ trios on the South Side of Chicago, made his recording debut in 1991 with Charles Earland on Muse Records, and cut his first album as leader in 1992 (Straight Up for Delmark). More recordings followed for numerous labels, including Milestone and others, leading to 1997's Man with a Horn; the 1998 collaborative quartet session with George Mraz, John Hicks, and Idris Muhammad, Solid! ; and, that same year, the first recording by One For All, Alexander's ongoing band with Jim Rotondi, Steve Davis, Joe Farnsworth, Peter Washington, and Dave Hazeltine. Eric has appeared in many capacities on record, including leader, sideman, producer as well as composing a number of the tunes he records. By now, Alexander has lost count of how many albums feature his playing; he guesses 80 or 90. While he has garnered critical acclaim from every corner, what has mattered most has been to establish his own voice within the illustrious bop-based jazz tradition. In 2004, Eric signed an exclusive contract with the New York-based independent jazz label, HighNote Records where he has amassed a considerable discography of critically-acclaimed recordings. Most recent among them is “Chicago Fire” HCD 7262, “The Real Thing” with Pat Martino HCD 7278 and “Second Impression” HCD 7296. Eric’s most recent HighNote release, “Song of No Regrets,”(HCD 7311) was featured in Downbeat’s “Hot Box”. He is currently working on a new recording project which will see commercial release in mid-2019. Eric continues to tour the world over to capacity audiences. Using NYC as his home base he can regularly be seen in the city’s most prestigious jazz clubs.